If the visible measure of civilization is architecture, the audible one is music. Whether a society is natural or refined can be understood by examining its music. There have been no societies without music throughout history. No society complained about its local music until the 20th century when classical Western music was accepted as the peak of musical art. The notion of the supremacy of classical music owes its existence to music's spread via mechanical (later electronic) tools. Recording systems and musical transmission, which began in the 19th century, continue with improved and elaborate tools today. After accepting Western influence completely, we asked ourselves: Don't we have a classical music? The answer was tragic. We identified our classical music as Turkish art music and banned its broadcasting on radio at first. This tragicomic tale of Turkish modernization was the first step to accepting our own classical music in all aspects after a long time. It was a late acceptance after a long period of denial. Actually, our men of culture, particularly Yahya Kemal and Ahmet Hamdi Tanpınar, perceived that Ottoman music could compete with classical Western music. 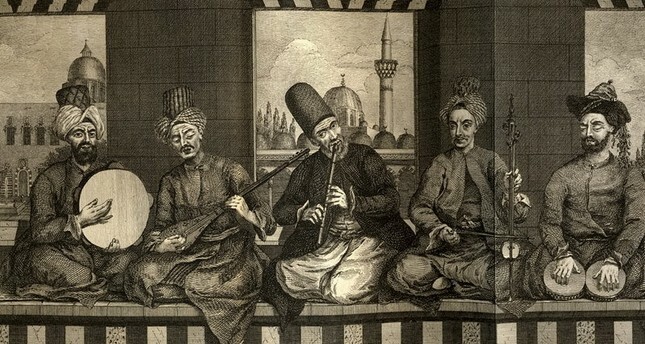 Tanpınar had built his masterpiece novel, "Huzur" (A Mind at Peace) on the basis of Ottoman music. Yahya Kemal mentioned Ottoman music in many of his poems and wrote a special poem with the title "Itri," eventually. Who is Itri, whose life is not known apart from a bit of suspicious information belonging to a time when he was not famous? Why do we call him Itri while mentioning Ottoman musicians with their own names, above all? Because he was also a poet. Yet, when we look at the records, we see that Itri is also called Buhurizade Mustafa Efendi. Itri was a multi-dimensional person just like many Ottoman artists. We have no information about his exact birth date and no clear ideas about the conditions of his upbringing. As to his year of birth, we have dates such as 1630 or 1640. It is accepted that he was born in the Yayla neighborhood around Mevlanakapı (Fatih) and took lessons from significant masters of his era. One well-known thing about Itri is his being Mawlawi. Even the origin of his name is related to his interest in growing flowers in the lodge. The Itır is an odorous pink flower belonging to magnoliopsida, and it means perfume. Knowing little about his childhood and youth, we confront Itri and his compositions in Crimea, Khan Selim Giray's farm in Çatalca at first. Itri, who became one of the official court musicians later, was also a poet and calligrapher. Even though he was said to be a good poet, his poetry was indefinite compared to his compositions. While he was so serious in poetry that he could write a "diwan," we cannot measure its level for this diwan is lost. We encounter folk songs with syllabic meter among Itri's poems, and that leads us to question the distinction between folk poetry and diwan poetry, folk music and classical music. We should keep in mind that the distinction between a modern song and a folk song did not have a point for Ottomans. To them, this was just a difference between meter and rhyme, but we regard this almost as a difference between social classes. Being a court singer opened the doors of prosperity for Itri, and this composer acquired a rank as Chamberlain of Slave Traders. While Itri was in this position, he was brought slave boys, and then he identified those who had an inclination for music and trained them. Biographers have not reached a consensus as to the date of his death, either. His estimated year of death is 1711 or 1712, but in recent years, it has been argued that there is a typing error and this master of music died in 1730 or 1731. "Nevakâr" is a special piece of art among the nearly 40 compositions that we still have by Itri. Anyone performing classical Turkish music cannot die before performing this masterpiece. The Persian ode by Hafiz of Shiraz (14th century), beginning with the verse "Gülbün-i iyş midemed saki-i gül'izar kü?" (Where is this lovely saki while the rose of pleasure and joy blossoms? ), are the lyrics used for "Nevakâr." Even though "Nevakâr" is a composition with a Neva tune, it cannot be performed thoroughly in one tune. In a manner of speaking, it is a progressive composition, has alteration and diversity in itself. Different from the general composing style, it does not start with metric but meaningless lyrics. After a long instrumental intro, the verses come directly. Even though this reminds us of compositions by Abdülkadir Meragi to a certain degree, Itri has given a more feminine and mystical tone to his work compared to Meragi's splendid style. We confront this soft and deep mode throughout Itri's works. Yahya Kemal defines shared takbir, which many of us say while sacrificing an animal to God or after the bayram prayeraltogether without knowing that this composition belongs to Itri, as "splendid." I do not agree with that. In my opinion, this takbir has traces of Mawlawi manners rather than being a reflection of courtesy. Takbir preserves its tone of voice whether it is said by one person or a thousand people. And this naturally reminds us of dhikrs in dervish lodges, especially Mawlawi rituals drawing our attention with their disciplined performance. To feel like the voice ascending into the sky is both Itri's signature, his mastery and reveals the composer's modesty. Itri produced some other works used as music in mosques. The salat, known as "Salat-ı Ümmiye" and recited especially between rakats in Tarawih prayer, is one of these works. This is also a powerful work composed in a short tessitura just like the takbir. This salat feels more sentimental than takbir. The difference between Itri's takbir and salat resembles the difference between invocation and eulogy in diwan poetry. Itri, the great composer, is considered as important as Abdülkadir Meragi. According to a common belief, Meragi, Itri and Dede Efendi form a perfect trio. To my mind, Itri is equal to Meragi and superior to Dede Efendi and other composers. A rare solemnity, tranquility and simplicity catch our eyes in Itri's works, while supremacy and greatness are prominent in Meragi's compositions.